This little tidbit was spotted on BuzzFeed. Okay, here’s the deal. When you mean “a comprehensive and fundamental law, doctrine, or assumption,” “a primary source,” or “an underlying faculty or endowment” (M-W), then the word you want is principle. When you mean “a person who has controlling authority or is in a leading position” (M-W), such as the person who has the power to put you in detention until the day you graduate from high school, then the word you want is principal. 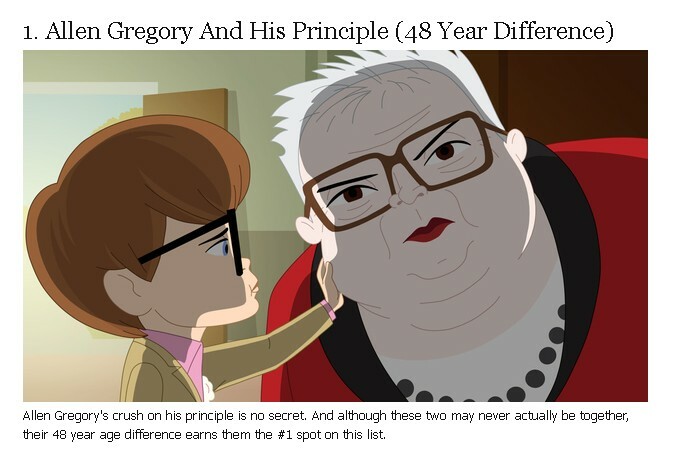 In this case, although Allen Gregory may very well love his principles, what they meant to show was that Allen Gregory loves his principal. In principle, the proofreader of this article might want to make checking for spelling of principal importance. Bonus MRP moment: In addition to this delicious typo, BuzzFeed also brings us “14 Punctuation Marks That You Never Knew Existed.” Impress your friends and scare your enemies with your new knowledge of guillemets, sheffer strokes, and asterisms. When I was in first grade, the school principal told me that he would always be my pal, which was how I could remember the difference between principle and principal. (The fact that I was having this conversation in first grade explains a lot about why I’m reading this blog, doesn’t it?) He was a nice man, and I’ve never forgotten his hint. They’ve fixed “principle,” but Catherine Zeta-Jones is still misspelled. Yeah, and they have poor Megan Fox getting hitched when she was 18. She was young when she married David Silver but not THAT young. @ccr my principal gave me the same tip! But I think I was probably in 4th or 5th grade at the time – not quite as advanced! There is a Q&A about the “Principal vs. Principle” here, and the top answer references “The principal is my pal!” trick too. Good post. Yes, this is a common typo a lot of people do. Principle is just the moral, value or something like that what a person can follow and principal is a person who is generally head of an organization and who has authority to run that organisation. Good article.